In addition to aviation as probably the most important hobby par excellence, the countless members of our community also have other hobbies and side activities that they share with each other in the RSP and that are also an important part in the community. As Gaming is a big hobby especially for many young members, they also exchange ideas and gaming experiences in the various sections of the RSP, which of course strengthens team spirit and cohesion in the group. As the gaming business is an important part in the life of many RSP-Members, we offer this attractive connection between aviation and gaming for active gamers. Especially since the joint gaming of online games such as "Overwatch", "GTA V" and many other games within the community, strengthens the groups and the friendships between the members. Of course, as an international community we also deal with other hobbies than just aviation. The cooperation with the partner community DezparadozZz, which specializes in gaming, enables us to do just this balancing act between aviation and lifestyle - in this case gaming. The gaming community that joined us in 2017 mainly deals with online gaming. 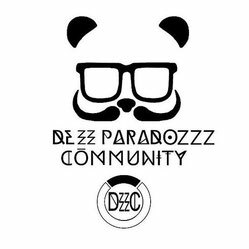 Especially the number 1 game Overwatch, in which the community is very successful, is the favorite of the DezparadozZz Community. Last but not least, they also make a name for themselves in the eSports scene and cooperate with other gaming sites and have connections with well-known names. Furthermore, the gaming community is officially partnered with the popular online website MMOGA. We as the RoyalSP are proud to support such a world class community and accompany them on their journey!